“Worn out but absolutely ecstatic.” The emotion on Simon Parker’s face and in his voice is clear as he finally arrives into Liberty Landing Marina. 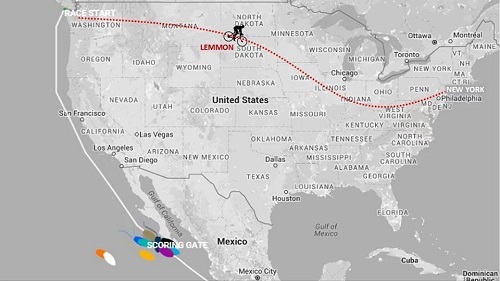 Like his fellow Clipper Race crew, he has just completed the Leg 7 US Coast to Coast race from Seattle to New York, though Simon’s journey was an altogether different route and challenge. 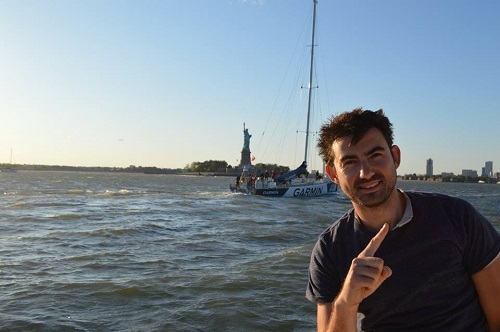 After sailing across the Pacific Ocean in Leg 6: The Seattle Pacific Challenge on board Garmin, Simon then, as you do, decided to cycle race the Clipper Race fleet almost 4,000 miles to the marina in Jersey City, which stands just across the water from Manhattan. He has cycled through Washington, Idaho, Montana, South Dakota, Nebraska, Iowa, Illinois, Indiana, Ohio, Pennsylvania and finally New Jersey, with no support crew, and he did it all in just 48 days, arriving the day before the first Clipper Race yachts, getting to greet see his former crew mates into port. Throughout the trip Simon has traversed both the Rocky and the Appalachian Mountains and experienced almost every condition imaginable; including searing heat, chronic headwinds, tropical Storm Colin, freezing rain and biting hail, cramps, potholes which resulted in an unfortunate crash and cuts and bruises. 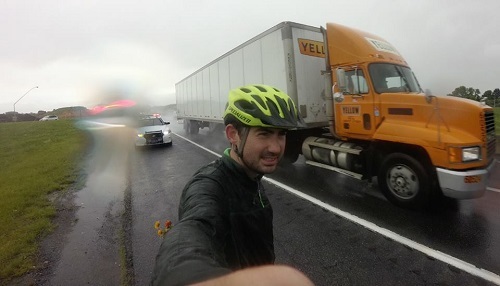 Also crazed truck drivers and forgiving policemen who tried to stop him cycling down the hard shoulder of Highway 78 in his final miles. Most memorable of all however has been the kindness of total strangers who have provided him with refuge, comfort and friendship along the way. Simon now has a little time to rest and catch up with his Clipper Race crew mates but the journey is not over. He will now need to find his sea legs again as he will re-join the Clipper Race, this time on boardUnicefto sail across the Atlantic Ocean to Derry-Londonderry. From Northern Ireland he will cycle to Den Helder in the Netherlands before finishing the race on board again for the final sprint and spectacular Parade of Sail up the River Thames in London. On getting off the saddle and getting back to sailing, he says: "Now my attention turns to the small matter of the Atlantic ocean and getting to Northern Ireland without vomiting on too many of my crewmates. The ocean is for me the toughest challenge of the lot. Cycling across the USA was really, really tough, but I find the day-to-day grind of sailing to be harder. The Pacific Ocean was the most ghastly place on earth. I had moments where I just thought, we’re surely just not meant to be here?. "After the freedom of cycling 14 hours a day, eating when I want, sleeping when I want and being my own boss, the dynamic of being with a crew will be interesting. But, that's the exact thing I came here to explore – that change between team and solo experience. So bring it on." He explains: "This whole 'project' has been about exploring why people choose to break out of their comfort zones and take on big challenges. We live in a world where people are constantly looking for new ways to explore their limits through travel and endurance. Iron Men and Marathons are not abnormal any longer and so called normal people are doing more and more incredible things all the time. ‘Like’ Simon’s Facebook page to find out more about his remarkable journey and you can also follow him on Twitter @SimonWIParker. Click here to read about Simon’s experience in the Pacific Ocean on Leg 6 as published in The Daily Telegraph Travel section. 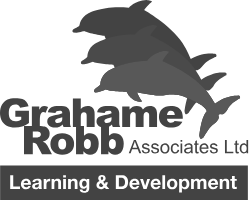 Click here to read Simon’s account of his first introduction into sailing on Clipper Race Level 1 training. Interested in taking on an endurance test of your own? The Clipper Race is currently recruiting crew for the 2017-18 and 2019-20 race editions. Click here to find out more.